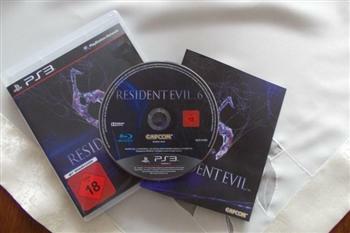 The German PS3 version of the game breaks the street date by almost a month. Resident Evil 6 has an official release date marked for October 2nd, which has raised some questions as to how certain consumers in Poland were able to snag copies of the survival horror title as early as last week. It turns out that the unofficial retail release was sourced from stolen goods, according to a statement by Capcom. "Capcom is currently undertaking a thorough investigation into reports that Resident Evil 6 is being sold ahead of its official October 2 release date," reads the statement. "At this time, all we can add is that it would appear this unfortunate incident is limited to a small quantity of stolen copies of the German USK PlayStation 3 version of the game." The stolen copies of the game were sold at a couple of retail stores in the Polish city of Poznan. So far, there's no solid figure to the "small quantity" referred to by Capcom. Naturally, an enterprising individual has opted to try their luck reselling their early copy of the game on eBay, with bids of up to $600 already called at the time of writing. I don't mind the odd game of Resident Evil every now and then, but $600 is a bit rich for a month's head start.